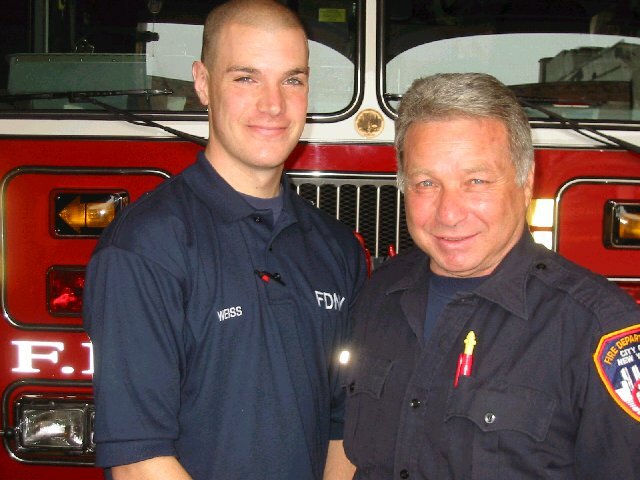 May 1, 2003, Tony Catapano, with over 40 years of service in Engine 202, with probationary firefighter Todd Weiss on Todd's first day in Engine 202. 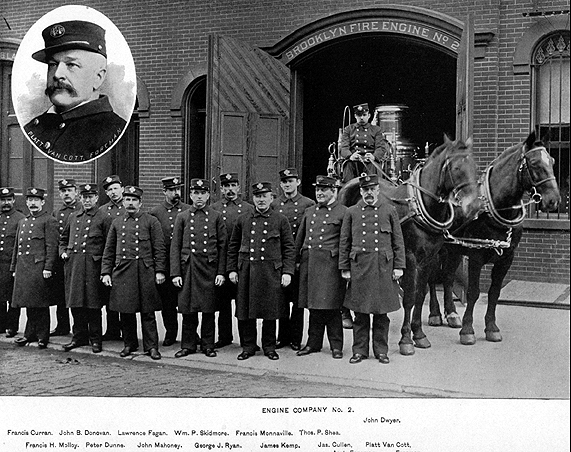 Red Hook, the 1st 100 years! 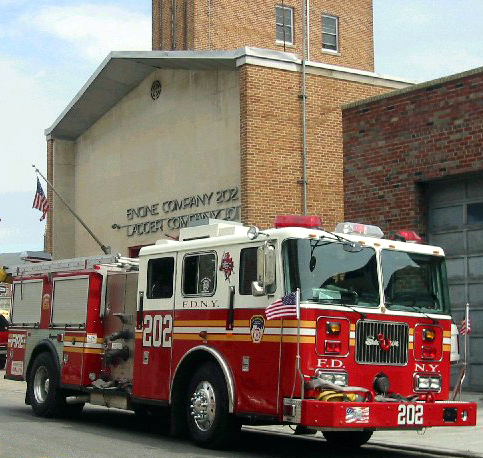 Engine 202 has started their own page, click here!